I never celebrate my birthday in another country beside Indonesia. Usually, I celebrate that special day with my family or my close friends (rarely both). Fortunately (or should I say "Unfortunately"), this year is not an ordinary year because I celebrated my birthday in Aachen, Germany. So, what's so different with this year? Well, it's quite lonely in Germany because I cannot celebrate my special day with my family and my buddies. I don't know what to do and there is no special preparation for the celebration. Thus, it's just like an ordinary day for me. In the end, I made the photo above during that time just for fun. Hehe. I am sure you guys can guess when my birthday is by looking the theme of that photo. 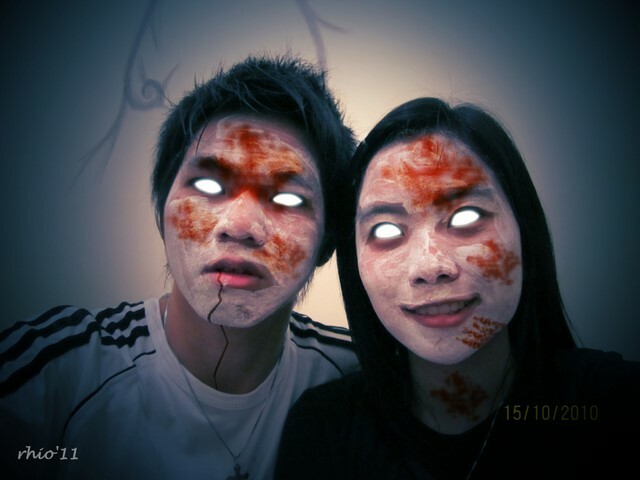 Lastly, happy Halloween guys! And happy birthday for myself!